 The list below is for getting therapeutic traditional thai massage. If you just want a relaxing massage with oil or a soft thai massage, you can try your luck in any of the hundreds of massage places around. It may be good, but it is a lottery and it depends very much on the person doing it, that´s why I am not including many massage shops. With any of the people below you book for a 2 hours treatment. Blind Masseur with 40 years of experience. He does treatments in his house. You need to book him on the phone. His style is soft, gentle and hypnotic. But very healing and without pain.For me one of the best, and definitely worth trying. He is known to be good for treating traumas or injuries, chronic pain etc. he offers treatments at his massage place on Wualai road, the saturday night market road. He has been doing this for over 30 years and has trained many of the therapist and teachers in Chiang Mai. His style is strong and therapeutic, a very kind man. If you want to try tok sen he is one of the best. He gives treatments in Wat Kuan Khama (this is a temple in the northwest corner). He only uses thumbs and elbows and is big guy and super strong, but at the same time super healing. After he treated me I felt my legs floating in the air. If you have any physical injuries, trauma, or joints that need improved mobility, I suggest you visit him, though this kind of massage is not for the faint of heart. The best way to book him is to visit him directly at his massage shop : “Supattra Massage by the blind”, which is on Sri Poom Road Soi 1. He is not on google and I do not have the number but it is very close to “Blue Diamond”, a popular vegetarian restaurant inside the north east corner of the old city. Sometimes he is not very formal, you may book him and he forgets, so try a couple of times. Fah Lanna Spa : this is an expensive luxurious place for massage but everyone says it is one of the best. I never tried but if you have the money and want to treat yourself may be worth checking out. They have two places and one of them is cheaper than the other apparently. They also have a really good coffee! A temple near Chiang Mai Gate, where they teach and give massage. I had a couple of massages there and they were quite good, but it also depends on the person. The price is very good (150 baht an hour!) . The teacher, Mister Joe, supposed to be amazing but I never tried him. I tried a lady called “Pan” and a guy called “Din” and they were both awesome. You´ll see the massage stalls at those markets. For 150 baht an hour you can get a decent massage, especially from the older ladies. It is an experience worth checking and it can actually be very good. Ok, I do not know many people in Bangkok. I did however received an amazing therapeutic treatment there. There is an old lady that works at the intersection of Samsen Road with the canal, next to to KhaoSan area. She has a little massage bed next to the canal and a restaurant, and you need to book her but the ladies in the restaurant phoned her for me. She does not speak a word of English. She worked on my lower back pain and it was amazing and super strong. If you have some spare time in Bangkok it is worth trying.